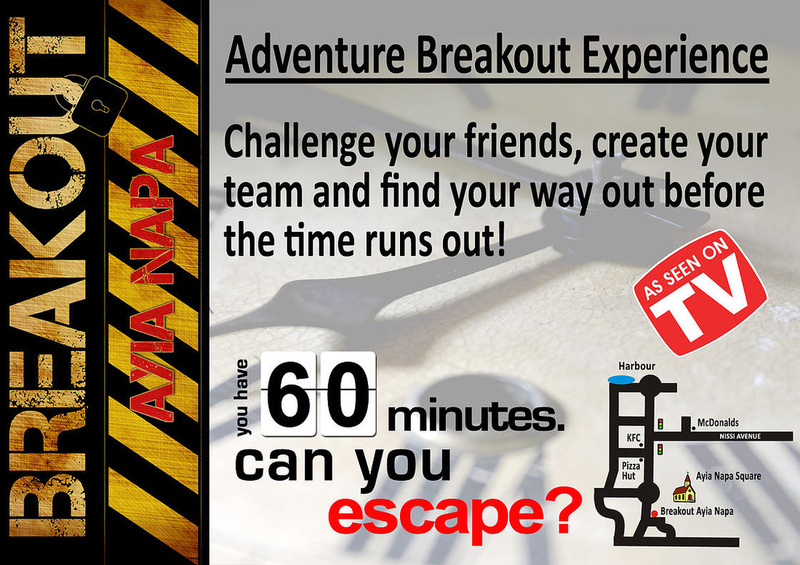 ​New in 2015 in the heart of Ayia Napa is the brand new Breakout experience. 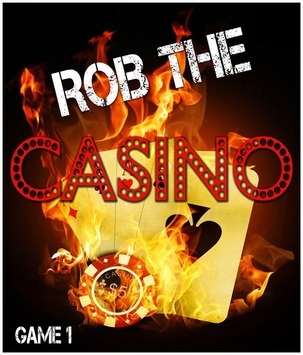 The 2 live action games offer you the chance to "Rob the Casino" or "Escape the Asylum". Play one or try both, will you be a winner? 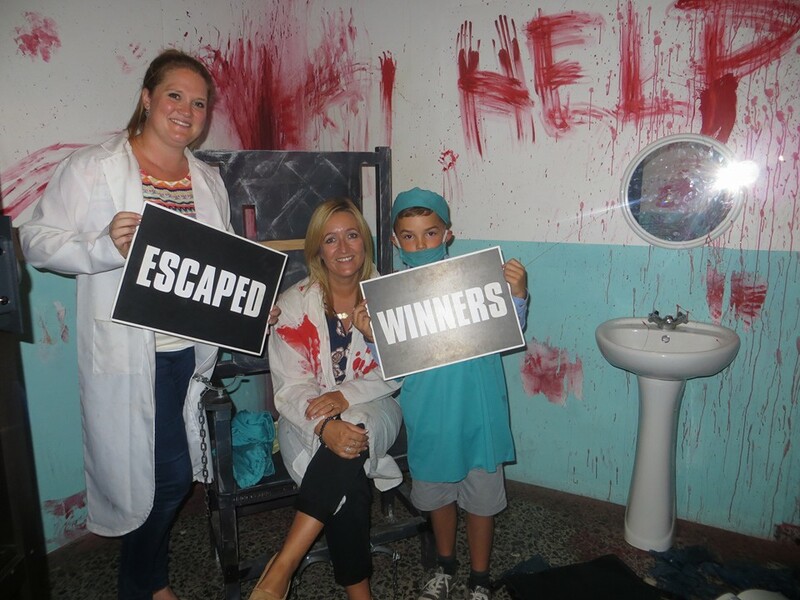 The first live escape experience in Ayia Napa, Breakout challenges you to solve a series of puzzles and riddles against the clock. 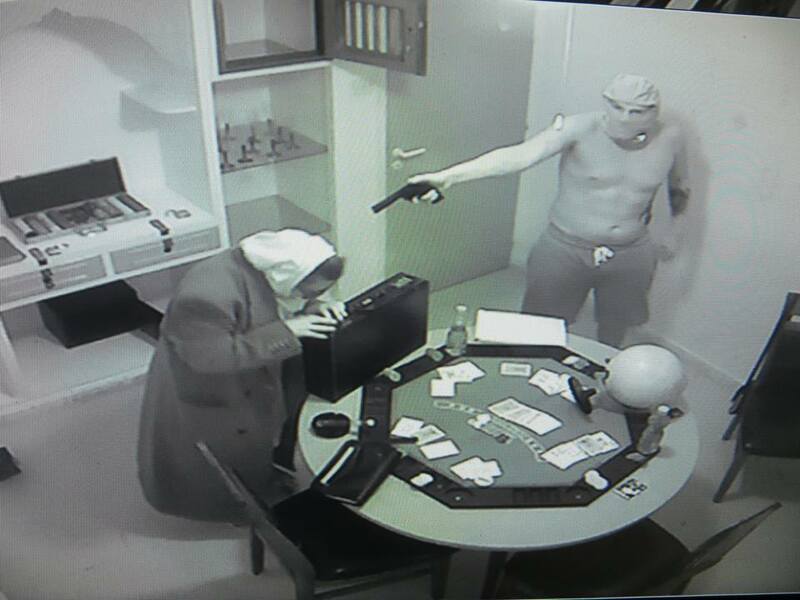 Live action simulation of real scenarios, players are locked in the themed room until they find their way out. Each game is suitable for all ages of family groups or friends. Teams can be 2 people up to 6 people. 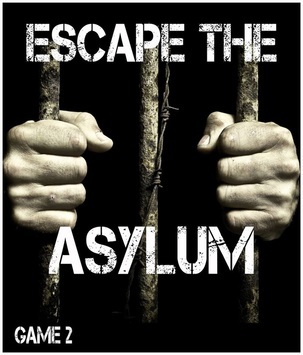 Each game gives you 60 minutes to either escape the asylum or to rob the casino. 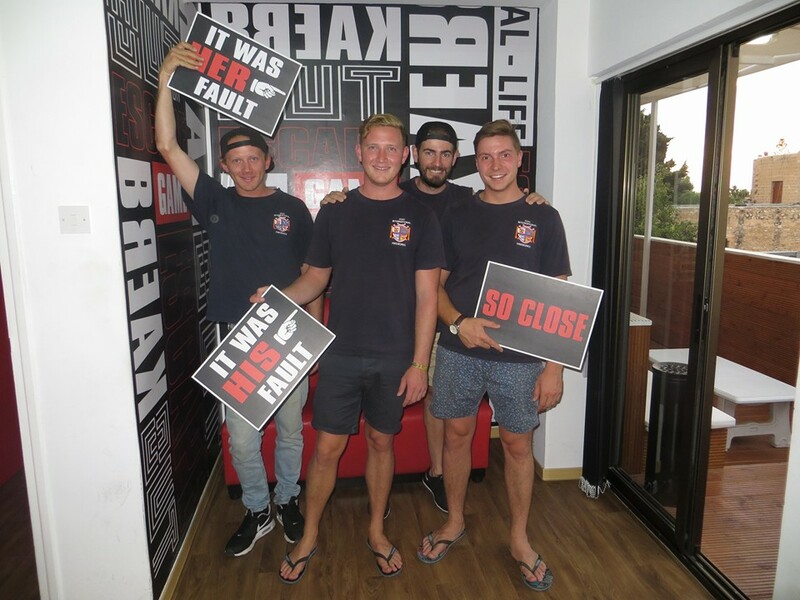 ​Can you escape the room? ​Breakout is located in the centre of Ayia Napa, overlooking the main square and monastery. ​from 4 pm until 1 am.